If you are using Windows and ubuntu as dual boot and if you want to access your windows partition you need to follow this procedure.This tutorial will explain how to access your windows partition in simple way. 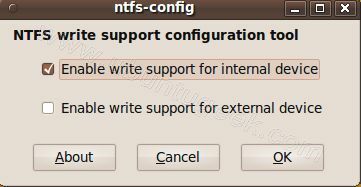 ntfs-config program allow you to easily configure all of your NTFS devices to allow write support via a friendly gui. For that use, it will configure them to use the open source ntfs-3g driver. You'll also be able to easily disable this feature. You need to select the partitions you want to configure,add the name of the mount point and click on apply.In this example i have ticked the check box next to /dev/sda3 and click under mount enter the name you want to use i have entered as OS and click on apply. 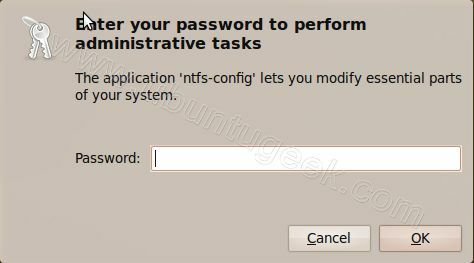 NTFS write support has been out-of-box for Ubuntu for nearly 2 years now. I’ve been using Ubuntu in a dual boot for 2 years now, and I thought it was normal that Ubuntu could see, mount and write to Windows. I just accepted it was the magic of Ubuntu. But by default the users don’t have ‘full’ access to all the ntfs filesystems. Or they have read only access. This can cause confusion when the users are expecting full r/w access by default. Personally I remember to tell the installer where to mount my ntfs filesystems. This is totally unnecessary and will cause much confusion. 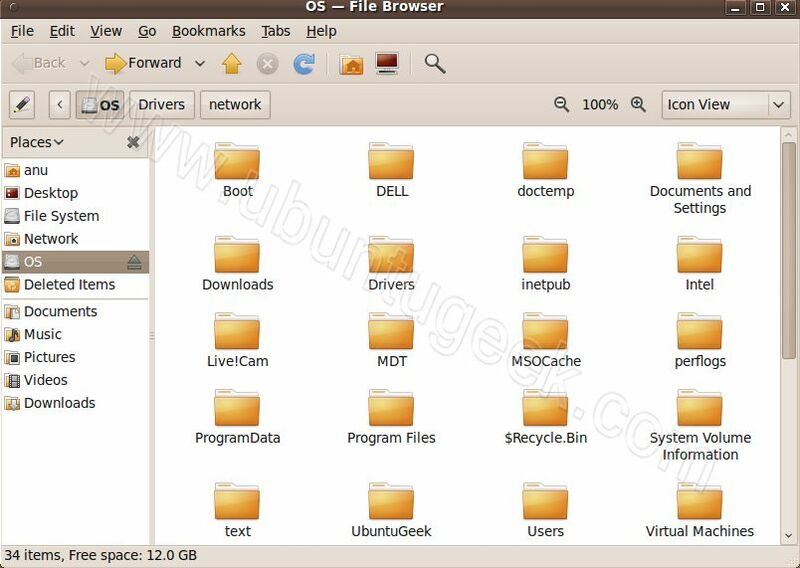 The ‘ntfs-3g’ driver has been integrated into Gnome since at least Ubuntu 9.04 – most likely earlier. 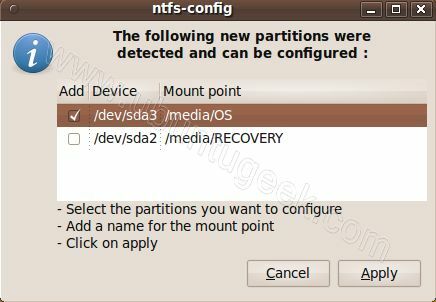 ‘ntfs-config’ has been SPECIFICALLY excluded from the distro for this reason. Please consider taking down your article. Actually, we need to do it the other way around. We need to access the Linux ext4 partition from Windows. And so far none of the currently available software will work. This article was a lifesaver. Jaunty was, indeed, able to read/write to the NTFS partition out of the box, but this ability was gone after upgrading to Karmic Koala. Thank you for posting the information that helped me to regain access to my NTFS files. 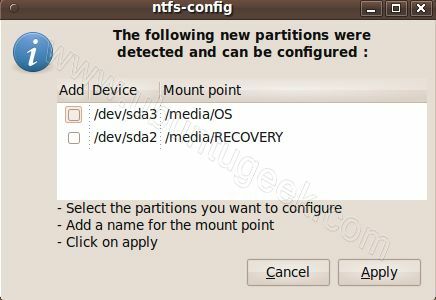 Although read/write support is there but the NTFS partitions are not mounted on startup. Plus I believe this tool gives a GUI front-end to ntfs-3g. Thank you for the elaborate article.